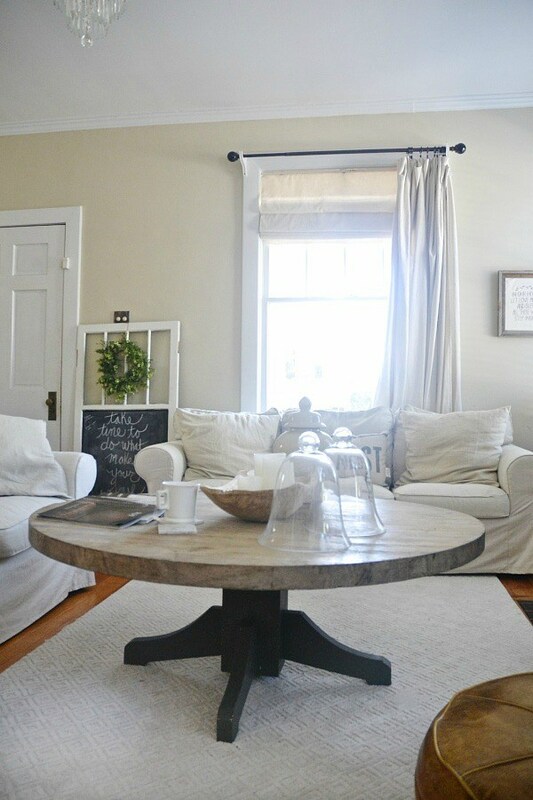 Every pretty farmhouse needs a rustic coffee table, don’t you think? But the prices on some of the upper scale shops are kind of ridiculous. 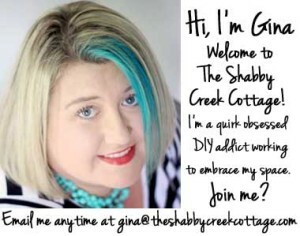 Which is why DIY is usually my go-to. 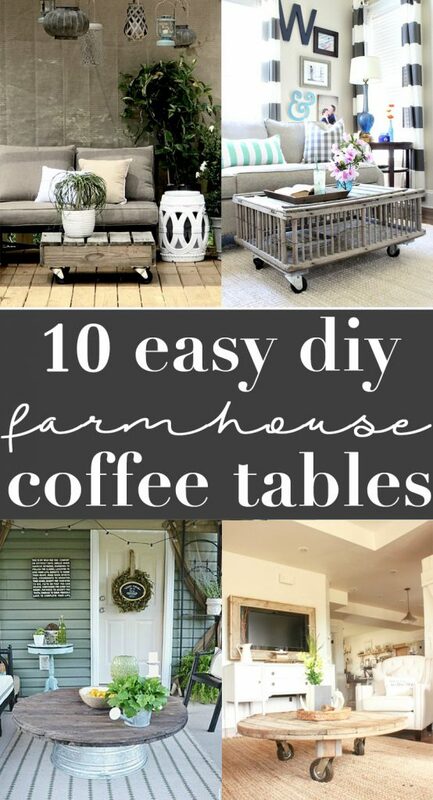 Because rustic style coffee tables usually don’t have an elaborate design, they are typically easy to replicate with a little know how and some DIY skills. 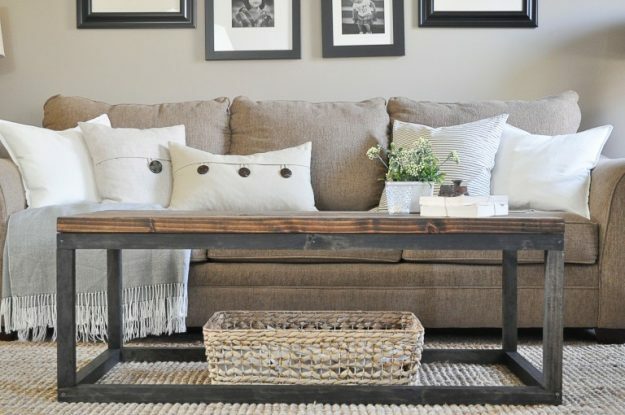 Looking for inspiration to build your own DIY rustic coffee table? 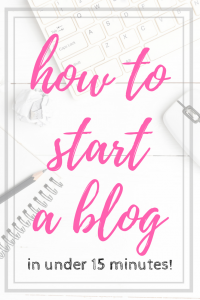 I’ve found a few of my favorites – from super quick & easy to a little more hands on. There’s something for every level of builder in this collection. I’ve made a rustic coffee table or two myself, including this one I made from a platform. Another one I made from scratch was this farmhouse style table – it’s simple lines are perfect for that rustic style. 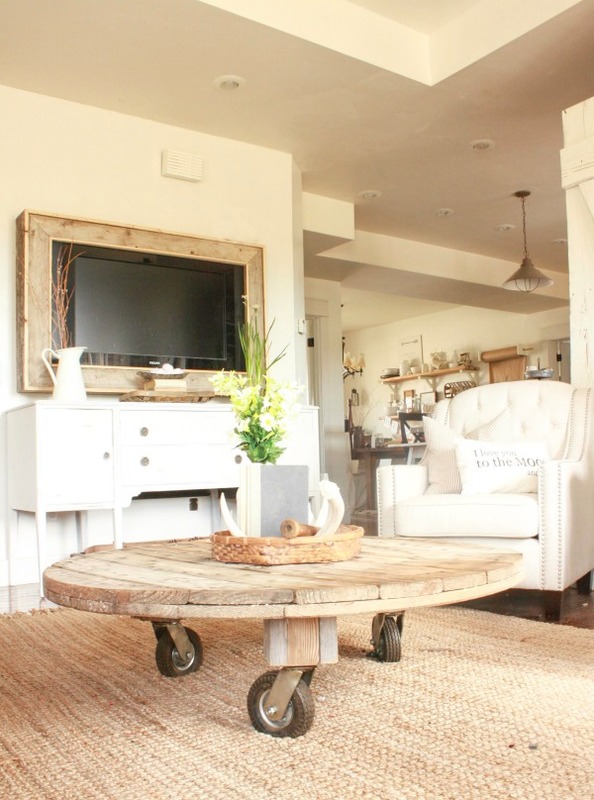 Liz Marie’s rustic coffee table is made with a wash tub & a wood top – and it’s as beautiful as it is easy! 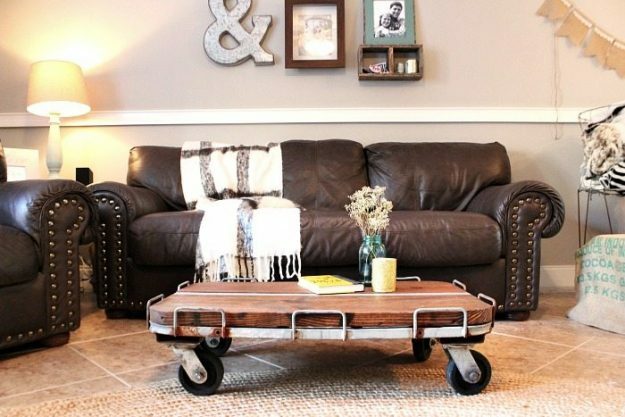 Sara built this gorgeous coffee table on casters from a wire spool. 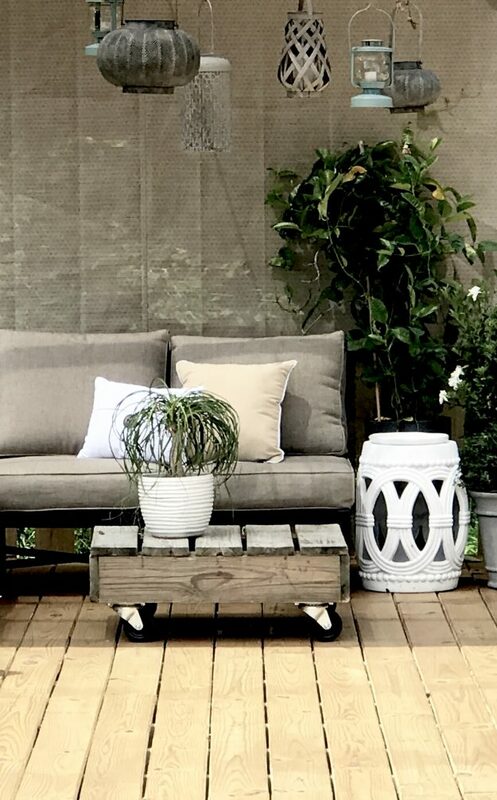 Ashley built this simple frame coffee table from scratch – but it’s a great project for beginners! 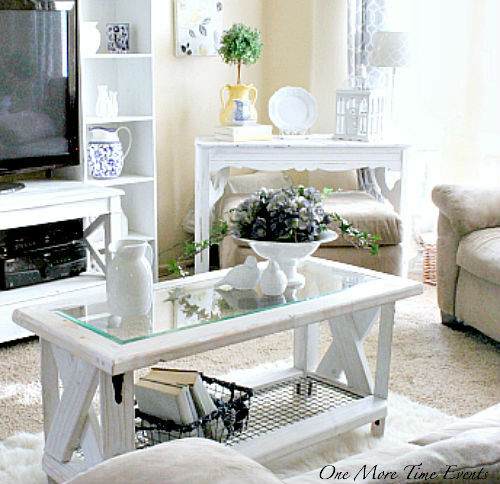 Liz Marie turned an old dining table into a rustic coffee table with a few easy steps. 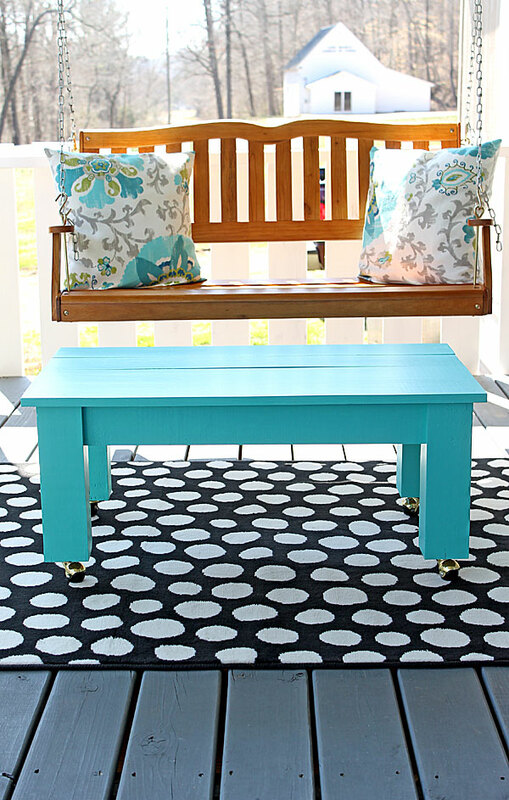 Can you believe that Tammy built this gorgeous coffee table only using 2x4s? 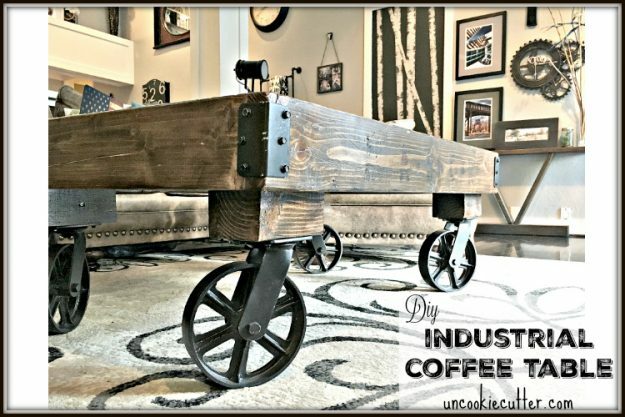 Debbie found an old metal cart and it inspired her to build this industrial style rustic coffee table. Want a cart style table but don’t have the metal frame? April made this one completely from scratch! 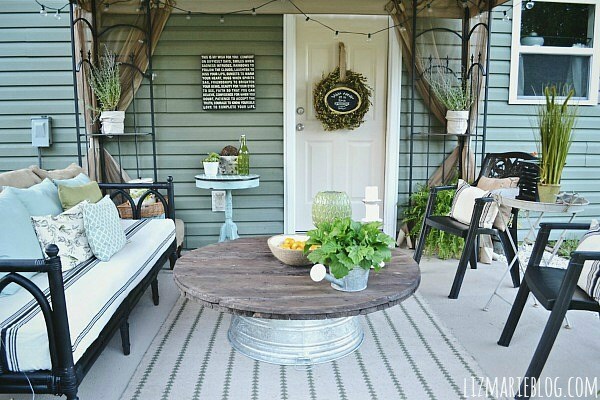 And this is one of my favorites of all time: a chicken coop turned a coffee table – can you get a more rustic than that? 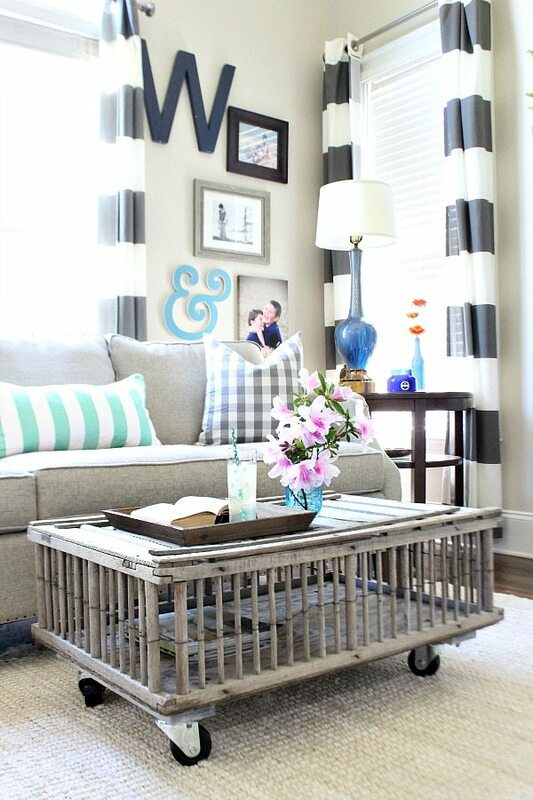 Have you made a rustic coffee table? 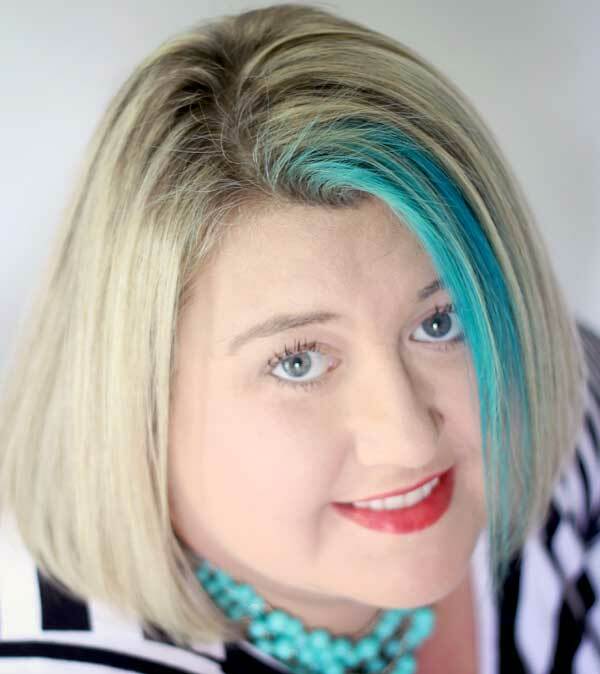 I’d love to see it!